YAN Engines Wins Industrial Technology Pitch Competition at SXSW 2017! YAN Engines CEO Lu Yan pitched to a panel of judges at the SXSW Industrial Technology Pitch Competition on March 14, 2017. From over 60 applicants and five finalists, YAN Engines won the award for the Advanced Seed Stage. This event was hosted by Caterpillar Ventures, Holt Ventures, Brick & Mortar Ventures, and the Cottonwood Technology Fund. This is our second major award at a SXSW Conference. Click through above for a short video excerpt from the Caterpillar and Holt Ventures Industrial Technology Pitch Competition. 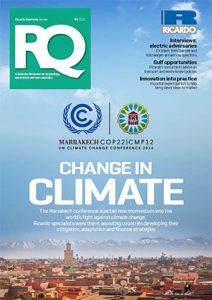 Ricardo, one of the world’s premier automotive engineering firms, published “Development of the YAN Engines high-efficiency D-Cycle engine concept,” in their Q4 2016 issue, detailing their collaborative design study. Ricardo provided support in advanced simulation and optimization and technical expertise. As a result, YAN Engines was able to validate the D-Cycle’s fuel efficiency benefit as well as refine their Ford EcoBoost 1.0L prototype build. YAN Engines announced today that it has finalized and frozen its design for a prototype in the passenger vehicle segment. 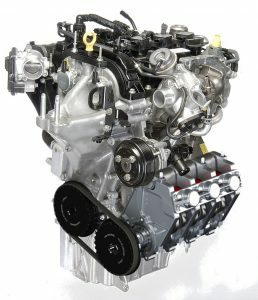 The D-Cycle retrofit of a Ford EcoBoost 1.0L engine marks the first of its kind for a modern, mass produced engine. The Ford EcoBoost 1.0L is one of the most advanced, fuel efficient engines in the world. Since its launch in 2012, it has won International Engine of the Year every year. This development work has resulted in two additional patent filings and new execution of a mechanism that adds robustness, ease of manufacturing, and the capability to integrate future D-Cycle generations. YAN Engines was the SXSW Eco Award winner for the 2015 Eco Startup Showcase in the Energy category. The competition included a field of over 400 entrants, with eight applicants in each category invited to the pitch. Judges selected winners based on what companies offered the most promising solutions to the challenges facing society and the environment today. As the winner, YAN Engines was awarded the coveted white bison. YAN Engines announced today that it recently opened up a UK subsidiary to lead design and development of engines for the passenger vehicle segment. We raised additional project-based funding to be deployed specifically for this segment. The team will be led by Greg Simmons and James Glover, two all-star engineers from the motorsports industry. “Our UK group will help get our retrofit energy efficient engines into passenger vehicles that will benefit consumers on many fronts – financially, certainly, but also environmentally while improving driving performance and experience,” according to YAN Engines CEO Lu Yan. 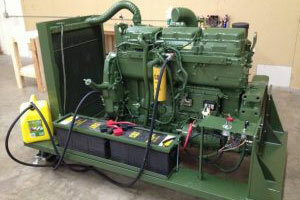 YAN Engines’ R&D project for a U.S. Military heavy-diesel engine has had over 40 successful engine starts. The retrofit engine has been holding steady idle and increasing to speeds equivalent to the operating range of the baseline engine. We look forward to additional contractual support and collaboration from our military counterparts who have been instrumental in bringing the D-Cycle to market.